This post should have been posted a month ago, but events has prevented me from finishing it. Since July is a quiet month for me in terms of writing, I don't feel too bad posting it at the end of the summer break. The few months prior to the summer break were difficult ones. Not only did my dad die in May, just before that and in the weeks following, so did Chris Cornell, Geri Allen, Prodigy, and then Khelan Phil Cohran, all of them musicians who have made an impact on me at least to some extent over the years. Following their respective deaths, I've found solace, power and courage in the music they made, in particular in the case of Cornell and Allen. And as for my dad, some of the music he loved. But life goes on, and additionally, there has been so much great new music released so far this year (and much more just over the horizon) to keep me occupied and to lift my spirits. 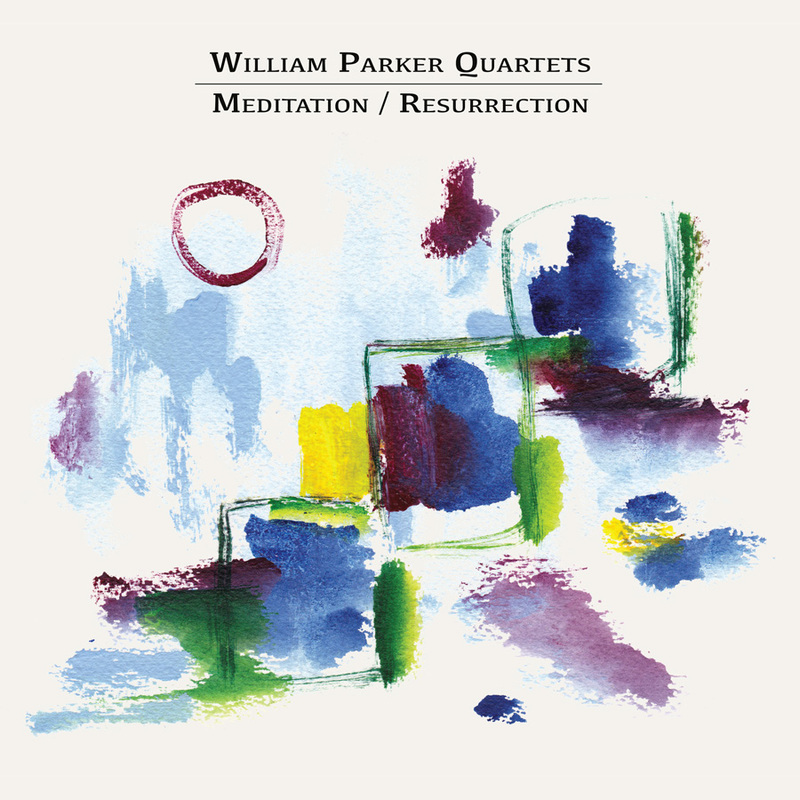 None more so than William Parker's terrific, riveting and uplifting Meditation / Resurrection double album, which showcases two of his quartets -- the actual William Parker Quartet as well as In Order to Survive. It's a truly wonderful release. Parker has hit similar heights on record previously, but part of what makes this one so interesting is how the two albums both contrast and mirror each of the two groups, both among the best jazz ensembles of the past few decades, and in doing so revealing the breadth of Parker's work in the quartet format as well as how his singular voice as a musician and composer permeates the music of both, with the unparalleled rhythmic power duo of Parker and Hamid Drake at their respective cores. As I wrote in the conclusion of my review for Musikkmagasinet, whether the music swings hard or moves in more abstract, exploratory patterns, absorbing melodies and impelling grooves never too far away, and few if anyone today makes avant-jazz this warm, energetic, soulful, fiery and engaging quite like Parker and his trusted cohorts. A couple of words, too, for Geri Allen. I was a tad late to Allen's music, admittedly, not really digging into her discography until I re-listened to and was subsequently captivated by her trio recording Printmakers (Minor Music), featuring Andrew Cyrille on drums and Anthony Cox on double bass, for the 1984 project I started almost 10 years ago. Geri Allen was a terrific pianist and a talented composer whose artistic practice followed its own path. Much has been made of Allen's ability to operate on either side of the trad./mainstream and the avant-garde so-called divide, but to me she rendered such a division pointless, and thus paved the way for how great musicians such as the bassist Eric Revis (who also has a new, really good album out) seem to think and work today. It was as if she ripped away the wires of a dividing fence and danced between the posts with grace and vivacity. Printmakers remains a fave, but there are many other great recordings with Allen, both as a sidewoman and as a leader and co-leader. From her work with Oliver Lake, Steve Coleman, and Wallace Roney, to the trio recordings with Charlie Haden and Paul Motian and later Dave Holland and Jack DeJohnette, up to the very recent group she had with David Murray and Terri Lyne Carrington, and many others, including an album with Ornette Coleman. She'll be sorely missed. Published reviews, April through July 3rd. Additional published writing: "Opp med Shipp-farten", on Matthew Shipp, Musikkmagasinet/Klassekampen, April 3., 2017 and Chris Cornell obit, Musikkmagasinet/Klassekampen, May 22., 2017.